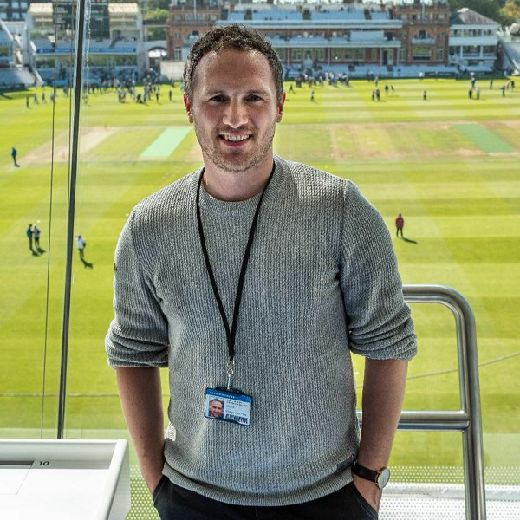 Sam Drury crashed a stunning 135 not out to help Scarborough to a high-scoring win at home to Cayton in Division Two of the Andy Hire Evening League. Drury's stunning knock, combined with 52 not out from fellow opener Mark Cook, helped Scarborough race to 199-0, chasing down Cayton's earlier total of 197-3. Aussie James Small also made it to three figures, his 119 not out being added to by 33 from Tom Ward and 32 from Harry Holden, although their total proved short due to Drury's century. It was a pleasing night for both of Cloughton's sides as both picked up wins. Cloughton B beat Forge Valley by just two runs in a tense encounter. Danny Jenkinson top-scored with 50 in Cloughton B's 158 all out, Mark Pryce adding 40 as Alex Glass collected fine figures of 6-36. Valley came close, James Fox hitting 61 and Gary Gibson 44, but 5-23 from Scott Wardman and 3-20 from Pryce ensured they fell just short on 156 all out. Cloughton beat Sherburn by six wickets. Sherburn were all out for just 101, Gary Jordan taking 4-18, before Dan Virr's 38 helped Cloughton to 102-4, Dan Simpson taking 3-44. Flixton A beat Seamer B by seven wickets. Seamer posted 90-6, which Flixton surpassed for the loss of three wickets. Joe Bayes fell agonisingly short of a century, but his 96 helped Ravenscar to victory against Staxton B in Division C.
Bayes' knocked helped Ravenscar post 143-5, a target that Staxton almost charged down, falling just five runs short on 138-7, Dan Blanchard hitting 47 and Liam Scott 46. Cayton B cruised to a 10-wicket win at home to Forge Valley B.
Valley made 95-4, Tom Varey hitting 58, before Gary Dixon (43no) and Dave Walker (42no) guided Cayton to the win. Flixton B also won by 10 wickets in a one-sided affair against Ebberston B.
Charlie Colley took 3-3 and Finlay Ward 3-9 as Ebberston were all out for just 56, before Elliott Hatton's 41 not out guided Flixton to 57-0. Scalby B cruised to a seven-wicket success at Muston. Muston posted 94-5, Brandon Horsfall hitting 32, before Scalby stalwart Nigel Clapham crashed 64 to help his side to 95-3. Wykeham B won by 25 runs against Snainton. Wykeham made 93-9, Tom Poor hitting 25 as Ben Norman's 3-25 appeared to have put Snainton in the driver's seat. But Chris Soulsby took 4-9 and Henry Tubbs 4-11 to team up and bowl Snainton out for just 68, despite Paul Nicholson hitting 40. In Division A, Filey continued their charge for the title with a 19-run win against third-placed Heslerton. Ryan Baldry's 49 helped Filey to 140-5, before Heslerton could only make it to 121-7 in reply, Paul Bowes hitting 46 and Rob Middlewood 36. Filey's charge for the title was also boosted by Staxton's six-wicket defeat at Ebberston. Staxton were all out for just 93, Andy Dove hitting 36 with Frankie Beal taking 3-19, before Joe Tyson (32) and Jonny Mason (26) nudged Ebberston to 94-4. Seamer remain in the hunt after a 40-run win against Ganton. Matty Morris (41) and Greg Chadwick (33) guided Seamer to 149-7, Robbie Milner taking 3-37. Liam Cousins hit 55 in Ganton's reply, but 4-43 from pace bowler Sam Park and 3-11 from Aussie Mitch Fisher ensured the home side fell short on 109 all out. 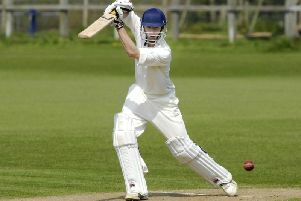 Scalby boosted their hopes of avoiding relegation with a five-wicket success against Wykeham. Mark Bruce top-scored with 36 in Wykeham's 150-9, Kev Thompson also hitting 29, while Paul Hesp did his best to tie the visitors down with 3-24 and Freddie Schmuck weighed in with 3-34. South African Brett Cunningham was the star man for the hosts in their reply, his 79 helping Scalby to 151-5 in the last over, Dave Pearson taking 3-19. Seamer A 149-7 (Matty Morris 41, Greg Chadwick 33, Robbie Milner 3-37) beat *Ganton 109 all out (Liam Cousins 55, Sam Park 4-43, Mitch Fisher 3-11) by 40 runs. *Flixton B 57-0 (Elliot Hatton 41no) beat Ebberston B 56 all out (Finley Ward 3-9, Charlie Colley 3-3) by 10 wkts.